In an age where everyone has ready access to what would have recently been considered to be a supercomputer, how can an industrial-age educational system adapt to an abundance of knowledge and tools? This article is the final installment of the series Continuing Conversations on Leveraging Educational Technology to Advance Jewish Learning. The series is a project of Jewish Funders Network, the Jim Joseph Foundation, and the William Davidson Foundation. For an in-depth look at opportunities in Jewish Ed Tech and digital engagement, read Smart Money: Recommendations for an Educational Technology and Digital Engagement Investment Strategy. We live in a time of a great abundance of knowledge, what technology thinker Clay Shirky termed a Cognitive Surplus. A student with an idea and readily available resources can create almost anything and reach a worldwide audience. For example, students at my school, The Frisch School, were recently awarded first prize at an engineering conference attended by over a thousand people sponsored by the Center for Initiatives in Jewish Education. Using microprocessors, coding, and 3D printing, four sophomore girls designed a device for individuals with physical disabilities to communicate by blinking their eyes for a fraction of the cost of similar, commercially available assistive technologies. Another student has created his own gaming studio, MidnightCoffeeInc, in which he has already published three retro-style games on Steam, the most popular gaming platform in the industry, and on the Android app store. He developed his games using graphic design software and drag and drop programs. His creative pursuits have received so much acclaim that he was chosen to present at the ISTE educational technology conference, the largest educational technology conference in North America with over 15,000 participants. 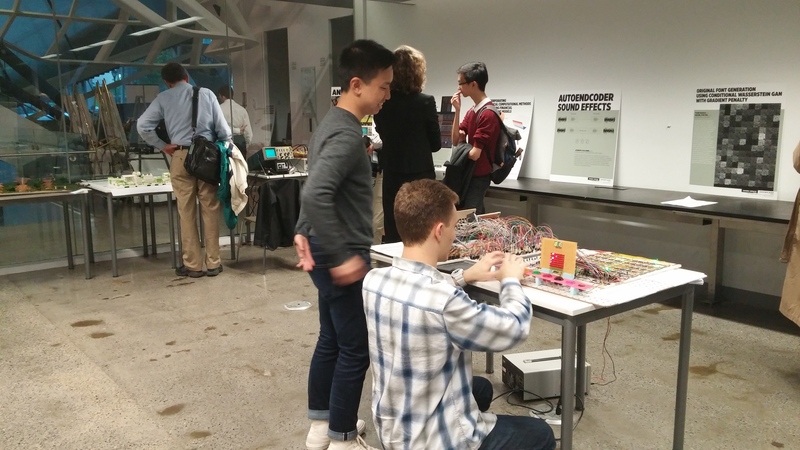 A recent alumnus who is now an electrical engineering student at The Cooper Union, created a fully operational version of the Enigma Machine, the electro-mechanical machine the Nazis used to create their “unbreakable” code in World War II. When I asked him if he would now design the program pathbreaking British computer scientist Alan Turing developed to crack the Enigma code, made famous by the film The Imitation Game, he looked at me quizzically and responded that anyone could write the program to crack this code nowadays even using a $35 Raspberry Pi microprocessor. Note, Alan Turing had to invent the first modern computer which filled an entire house in order to perform the calculations to crack the Enigma Code. We have reached an age where everyone has ready access to what would have recently been considered to be a supercomputer. The smartphone, a device in the pockets of almost every teenager and adult, has millions of times more processing power than the combined power of all the computers used to power the Apollo moon landing mission in 1969. The overarching question then becomes how can our current educational system designed using the factory model for the industrial age adapt to an an information age with such an abundance of knowledge and tools. Addressing this question is the goal of the report commissioned by the Jim Joseph and William Davidson Foundation Smart Money: Recommendations for an Educational Technology and Digital Engagement Investment Strategy and the Continuing Conversations on Leveraging Educational Technology to Advance Jewish Learning blog series published on the Jewish Funders Network and eJewish Philanthropy. In this series, educators have discussed how to adapt trends in educational technology to Jewish education like the Maker Movement in which individuals create using both hi-tech and low-tech tools and Augmented Reality, a trend made popular by the Pokemon Go game and now embedded into the latest iPhone. They have described how ubiquitous mobile technology can be used as a tool for creative and ingenious approaches to Jewish learning and skill development. The importance of proper teacher training to help teachers grapple with the brave new world of educational technology has been emphasized both from the perspective of a funder and a provider of professional development. The promise of online learning as a means to create high quality Jewish educational instruction for any student, anywhere has been discussed as well as the need to think carefully and adhere to a protocol of tried and true recommendations before following every new technology trend. Developers have illustrated how they utilize research-based best practices to maximize the educational value of their videos and argued for the importance of supporting open source technology allowing future programmers to build on knowledge created by others. Finally, a series of questions and strategies for impactful investing has been carefully presented to utilize in planning funding for our scale-up nation. This is only the beginning of a continuing conversation between funders, developers, educators, parents, and students. A new online space is being planned to further this important discussion as funders and other stakeholders in Jewish education seek to find ways to fulfill the promise of the cognitive surplus facilitated by technology in order to enhance Jewish education for all. Rabbi Tzvi Pittinsky is the Director of Educational Technology at The Frisch School, a Modern Orthodox Yeshiva High School in Paramus, NJ. In this capacity, he works with the faculty to integrate technology into every aspect of teaching and learning at Frisch. Rabbi Pittinsky is also a professor for MOFET's International Online Academy, an educational consultant for the Jewish Funders Network and a Smart Board Certified Teacher Trainer. He is an active blogger on topics related to the intersection of technology and Jewish education and an avid user of social media. You can read his blog at: http://techrav.blogspot.com and follow him on Twitter @techrav. Rabbi Pittinsky leads professional development workshops throughout North America, Israel, and South Africa on a broad range of educational technology related topics and presents at various educational conferences, most recently at the The International Society for Technology in Education Conference (ISTE), the largest educational technology conference in the world and at The Jewish Funders Network Conference.